apfpm is a regional grouping of independent national project management associations. In a similar vain to the formation of APEC, the apfpm was formed to harness the synergies of Project Management related Professional Associations across the region. Through international collaborative partnering these Associations can more effectively grow and develop their organisations; leveraging the stature, strength, and connectivity of each other. The power of collaboration: the benefit of working together brings a huge talent pool to influence and drive change improvements in project management practices and Association management. Ability to identify and encourage the embracing of best practice Project Management across the Asia Pacific region. Only by openly sharing across partnering Associations can understanding and improved practices be developed. Provides a regional voice that can represent and interact with governments and regional organisations such as the Asia Pacific Economic Community, Asian Development Bank, Association of South East Asian Nations, and others. Presents the opportunity to consider suitable regional professional Competency Standards. Individuals or fragmented local national associations would not be able to lift regional standards by themselves. 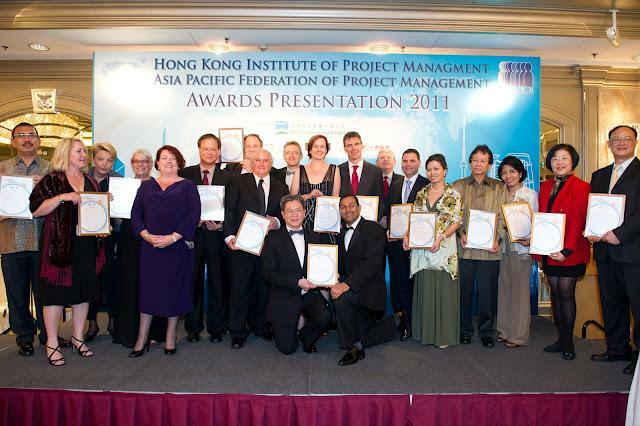 It will enable the running of an annual Asia Pacific Project Management Achievement Awards program, commencing in 2011. Providing recognition of professional excellence is highly regarded by both individual and corporate Member Associations. Provides a platform for the development of communities of practice. Enables reciprocity across regional Associations along with facilitating the transportability of qualifications. Ability to benchmark across regional Associations to identify and drive best practice Association management. Provision of a portal to share Project Management Knowledge & Research. The Member Associations from this vast and complex region have diverse ethnicity, and languages, and incorporate both western and eastern cultures. The Asia Pacific region effectively represents nearly two thirds of the world's population and well over half of global trade. In a similar vain to the formation of APEC, the apfpm was formed to harness the synergies of Project Management related Professional Associations across the region. apfpm Website is used as the main communications method within the Federation. Member Associations and the Committees of the Federation will be responsible for maintaining their own content within the website and its related links. To Contact Committee Representatives refer to page apfpm committee page. Member Associations include: HKIPM (Hong Kong), PMAI (India), PMRC (China), PMAN (Nepal), PMAJ (Japan), AMIP (Mexico), IAMPI (Indonesia), ASAPM (United States of America), APDP (Peru), PMAC (Canada), SPM (Singapore), CCDP (Chile), AIPM (Australia), CMAK (Korea) and PROMAP (Philippines). 'This Memorandum of Understanding reflects the commitment of like-minded organisations to the formation of the Asia Pacific Federation of Project Management (apfpm). Our vision is to drive Project Management to deliver real value in the Asia Pacific region. We agree to abide by the principles of good governance as outlined in the apfpm Governance Charter (Doc. dated 14 Nov. 2010). It is recognised that the Federation will mature over time as it progressively refines its governance framework and presence within the region. It is anticipated that other regional project management associations will progressively aspire to join the Federation and support our vision for the profession. Generally the apfpm meet annually for a formal meeting. However there may be other opportunities that arise where the apfpm may meet more frequently. History, Where did we come from? In 1997, the Asia Pacific Forum was established and a charter signed. Meetings of the forum were held in India in 1998 and in Cairns, Australia in October 2000. 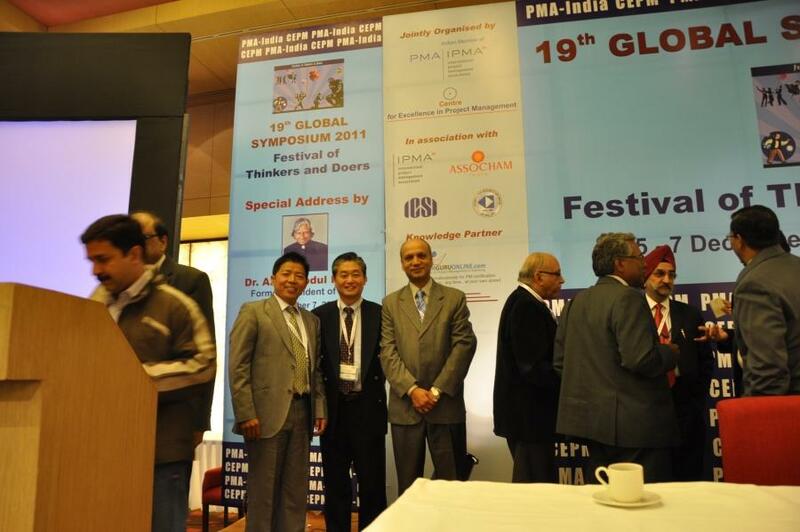 A meeting was held at the Gold Coast, Australia in October 2002 to change the structure and focus of the forum into a federation of project management institutes based in the Asia-Pacific region. The apfpm was formed in principle and a draft charter was initiated. It was agreed the apfpm was to be formalised by the signing of a charter of five or more institutes / associations in the region. However, the Federation became inactive due to changes in association representation in the region and some individual lead organisations not being able to gain sufficient momentum over the ensuing period, hence the Federation ceased to function. The apfpm was re-established and launched by Bill Young,with the auspices and backing of the Australian Institute of Project Management. A launch meeting was held in April 2010 with foundation Member Associations (Project Management Associates - India, Project Management Research Committee - China, Project Management Association of Nepal, Hong Kong Institute of Project Management - HK, Project Management Association of Japan, Ikatan Ahli Manajemen Proyek Indonesia, and the Australian Institute of Project Management); hosted by the Hong Kong Institute of Project Management.